Taught by artists and art educators, ArtLab Jr. (grades 1-3), will provide a dynamic and fun approach to learning visual art standards. Students will be challenged with a variety of media, and encouraged to explore its uses through experimentation and problem solving. The focus will be on the process (where learning occurs), while creating beautiful and fun works of art. Sign up early as space is limited. This series of 4 creative hands on workshops is inspired by the Color Wheel. Students will learn color blending and create projects that support this theme. They will use a variety of materials and supplies. Art Lab is on Facebook! 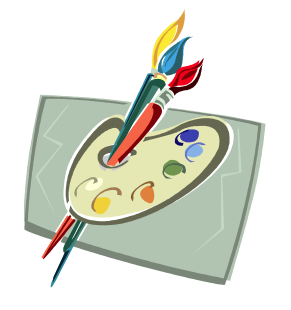 Like us on Facebook so you can receive our updates and see our students' artwork! We are so glad our little one is attending kindergarten at Phoebe Hearst. Even though, he transitioned from being in a preschool class with just 14 kids to a typical 30 student classroom, he is learning and having a great time. And teacher manages to encourage all the children to thrive even if some of them are at different levels. I’m most impressed with the parent involvement and how it is encouraged. I’m having a ball helping at my son’s classroom and knowing that every effort we as parents do to support the school is in our little one’s best interest. What a find this school is. I have two kids in this school. One is in the 4th grade GATE class and I have a new younger son in kindergarten. Amazing teachers. Parent involvement is welcome by the principal and the teachers. This is an amazing environment for kids to be in and I’m glad this school is in my neighborhood, even though it’s not really a neighborhood school. One word for this school and its teachers: AWESOME! !